Little Star provides Montessori education for infants, toddlers, preschoolers and kindergarteners in the Methow Valley. Little Star’s first class in 1982. 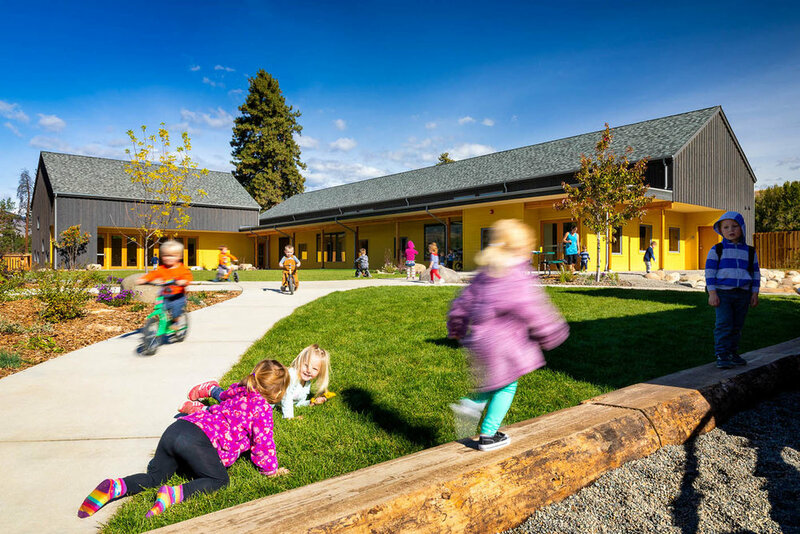 Little Star opened its doors in 1982 under the guidance of Montessori teacher Rayma Hayes and an inspired group of Methow Valley parents seeking loving care and high quality early childhood education for their children. Rayma’s vision and inspiration from the Montessori philosophy formed the foundation of our school: a place where every child could thrive because their unique and innate qualities were respected and nurtured. Over the years, Little Star’s toddler and early childhood programs have become cherished institutions for families in the Methow Valley. Rayma served as Little Star’s Education Director and “Fairy Godmother” until she passed away in 2016. Her kindness and vision still guide our school culture and curriculum today. The Galaxy Building in Winthrop opened in 2018. Doubled program capacity for children ages 0–6, adding the first-ever licensed infant care in the Methow. Opened Little Star Twisp. Our new campus offers year-round infant and toddler programs and connects families with resources to help them thrive. Expanded our campus in Winthrop. The new Galaxy Building features an indoor active space, a community kitchen and three new classrooms. We also doubled the size of our playground and added an infant and toddler-specific outdoor play area. Expanded and solidified our financial aid fund so that tuition remains accessible to all families. Currently, over 30 percent of Little Star’s students receive some form of financial aid. Grew our partnerships with the Methow Valley School District, Room One and TwispWorks to share resources and expertise and make sure our services are meeting the needs of our community. If you're interested in taking a tour of the school, meeting our wonderful teachers and learning more about what we're up to, give us a call at 509-996-2801. Little Star sparks children’s curiosity, compassion and sense of community through joyful learning and discovery. We believe early childhood education helps us all be good citizens of the world. It is our foundation for making the world a better place. We believe in the core Montessori values that everything is interconnected and interdependent and that all children have unlimited curiosity and potential. We strive to model and teach this. We believe it takes a village to love, support and grow great kids – and we believe that this village needs us. We believe our staff has the most important jobs in the world. We believe we are worthy of support. We believe we can grow and change to meet community needs. Little Star School is a 501(c)(3) nonprofit organization.